Wize Monkey has provided me with Original for the purposes of providing an honest review. 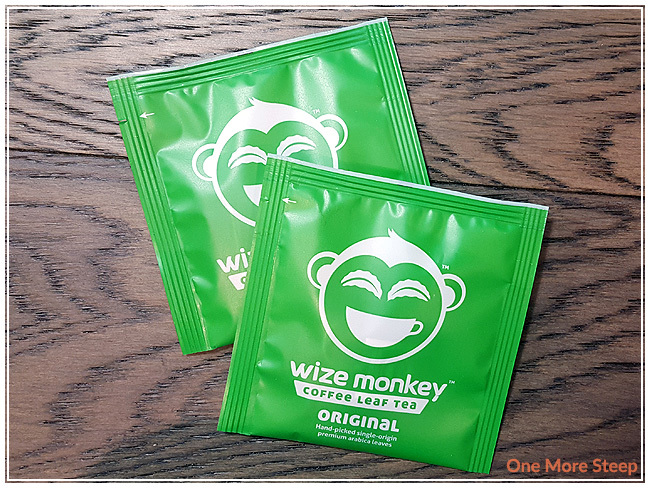 If you haven’t heard of Wize Monkey yet, it’s a Canadian company that does tea that is produced with coffee leaves (so it doesn’t actually contain any tea, so it’s a tisane). Coffee leaves aren’t usually part of the plant that gets utilized, since most coffee producers are focused on the bean. Part of what I received from Wize Monkey is a 15 day sampler pack which consists of five different flavours of their coffee leaf tea: Original, Jasmine, Mango Party, Minty Marvel, and Earl Grey – so be on the look out for future reviews of the other flavours. Each sachet is a tea pyramid, and it was pretty easy for me to rip open to get a closer look at the coffee leaves. I was half expecting it to actually smell like coffee, which I’m very happy to say that it does not smell like coffee. If you know anything about me, I don’t like the smell of coffee. The smell of Original reminds me a lot of a mix of a green tea and a black tea, and also there’s just something about it that reminds me of the aroma of yerba mate, it has a bit of a roasted aroma to it. Original consists of “hand-picked single-original premium arabica leaves”. And as an aside, I just want to say how much I love Wize Monkey’s logo. Between the coffee leaf eyes and the tea cup mouth and the fact that it’s a monkey?! So cute. Wize Monkey recommends steeping in 95°C (203°F) water and actually says that it can be steeped for as long as you want. 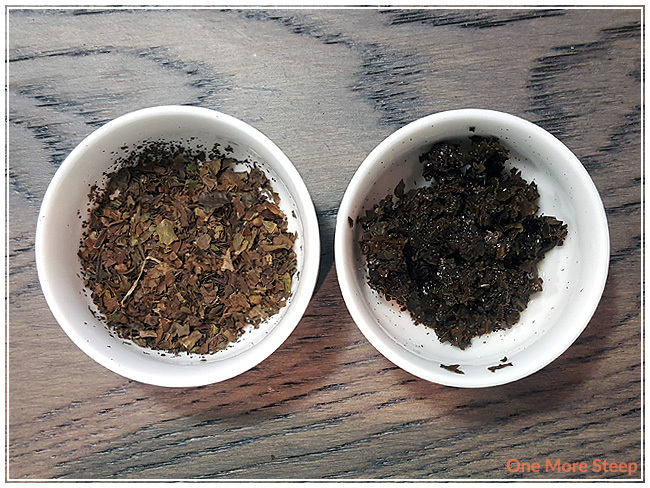 One of the claims about steeping coffee leaves is that it doesn’t get bitter, so of course I had to put that to the test. I steeped it for 8 minutes in 93°C (200°F) water. The aroma of the steeped Original is interesting to me because I just can’t quite pinpoint what it reminds me of. 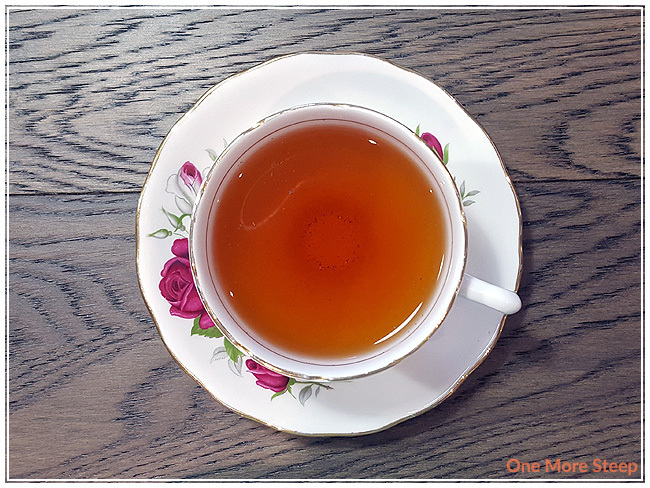 There’s some mild grassy notes that I liken to green tea, and there’s a slight malty flavour that reminds me of a black tea, and then there’s some roasted nutty flavours in this coffee leaf tisane that are lingering in the background. 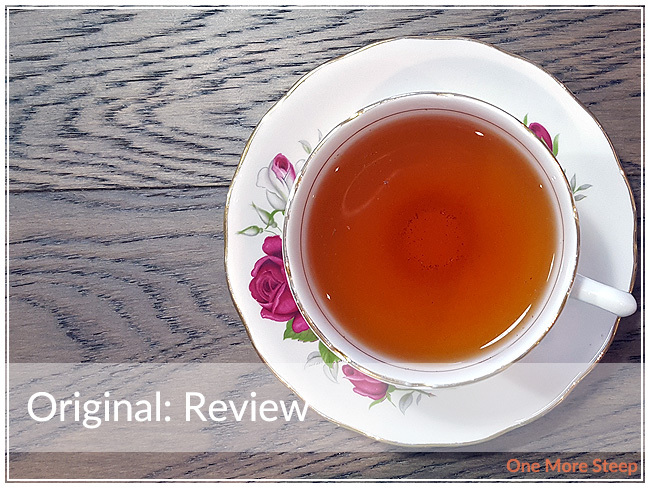 The overall flavour is nice, there’s a smoothness to it that’s pleasant, and it lacks of the pow that comes from coffee itself Despite steeping it for 8 minutes, there’s no bitterness and no astringency, so it’s kind of nice that it doesn’t get bitter or astringent with over steeping like traditional teas do. I attempted two resteeps with Original. 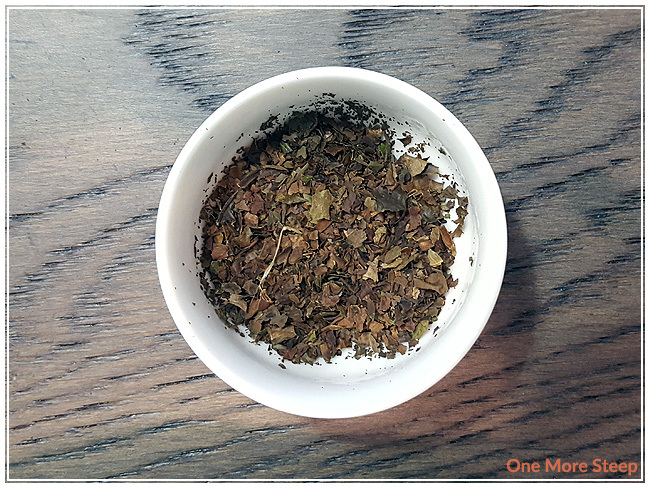 I found that the flavours were fairly similar for the first resteep, but it was quite watery for the second. I would say Original is good for one more steep. I liked Wize Monkey’s Original. I think it’s really neat that Wize Monkey is making a product from part of the coffee plant that generally isn’t used by most producers. The fact that you can toss a sachet into a cup and step away for a while and come back to a cup of herbal tea that hasn’t gone off is really appealing, especially if you’re the type who forgets about your tea after a while. I like the flavour of Original, I think it makes for a good tisane base and I’m looking forward to trying the other samples that they sent me.